It's natural for any industry to undergo changes, but few industries have experienced as many rapid changes as the pharmaceutical and health care ones. To remain relevant among these digitally wired consumers, big pharmaceutical companies have adjusted, making visible efforts to grab the audience's attention through web and mobile presence. It's natural for any industry to undergo changes, but few industries have experienced as many rapid changes as the pharmaceutical and health care ones. The core idea of the business remains the same; In addition to making good products, pharma companies need to understand the doctors and consumers they sell to in order to help them. However, with the rise of new technology, doctors and consumers are changing their consumption habits. According to Manhattan Research, a technology research group, a substantial 60 per cent of the U.S. adult population are educating themselves on health care and monitoring their health by using apps and websites, and over 60 million U.S. adults now consume or contribute to health-related web content. To remain relevant among these digitally wired consumers, big pharmaceutical companies have adjusted, making visible efforts to grab the audience's attention through web and mobile presence. There is more medical information available on the web than ever, and in 2014, we saw a 63 per cent increase in the number of top pharma company unique apps since the previous year. Similarly, the majority of health-care industry professionals have turned digital. According to a study commissioned by Google in 2009, 86 per cent of U.S. physicians use the web to access health, medical or prescription drug information to make their practicing much easier. This result tells us that not only the general audience but also the field professionals are actively involved on the web, showing the significance of digital media and presence. So, we find ourselves in the middle of an ocean full of digital information regarding our health. As marketers, how do we stand out? By creating visual and educational content without it being ad-driven, we help to encourage people to care about their health. Augmented reality and virtual reality have shown promising results in this manner as effective marketing tools, and these just might be the right ones for health care. Bayer Augmented Reality / réalité augmentée from Merchlar on Vimeo. Each year, U.S. drug companies spend up to $5 billion sending representatives to doctors. But is the money worth it? It seems doubtful since less than 50 per cent of the sales force will have access to promote to physicians, and only 20 per cent will be able to talk to physicians. 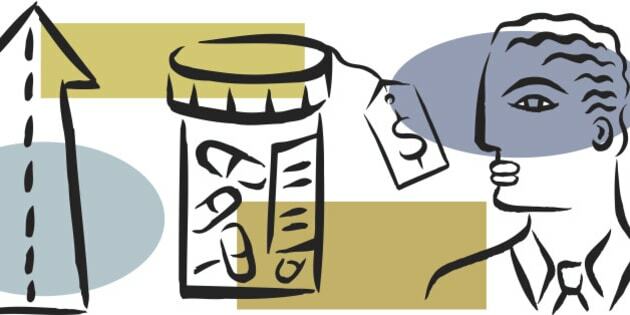 In just 2015, pharmaceutical companies wasted 1 to 1.5 billion dollars on making infeasible calls to physicians. We are in dire need of an effective communication tool, and companies like Bayer and Genzyme Europe have turned to creative solutions -- one being augmented reality. Genzyme Europe sought to raise awareness of calcium's harmfulness to CKD patients at Digipharm Europe Conference using augmented reality. They saw it as a new creative way to engage doctors and consumers, and the results showed this to be true. After using AR at the conference, Genzyme saw an increase in stand visits, website hit rates, doctors' engagements and time spent at their stand. Moreover, they received the UK PM Society Digital Media Award 2010 and IPA Best of Health Awards Bronze 2011. These results show that augmented reality is an extremely beneficial tool in grabbing people's attention. Furthermore, we see that with AR, one can avoid being yet another mere presenter of content but instead actively drive engagement and start conversations. Augmented reality's effectiveness as an educational tool is not a surprise. In a study done by Manchester Metropolitan University, it was shown that 72 per cent of participants could remember information better after using AR with Google Glass. Thus when this educational benefit is combined with marketing efforts, it is no surprise that AR offers an exceptional advantage. Such shift to digital education regarding an individual's health, known as health 2.0, fundamentally changes how pharmaceuticals market their products. This is especially important for firms such as Johnson and Johnson who spent $17.5 billion on marketing in 2013 (double that of research). As 66 per cent of Americans are willing to use mobile apps to manage their health, pharma marketers must change the way they reach people. Seeing this increase in app usage and a eight per cent decrease in Americans willing to visit pharma sponsored sites, it's important to create an educational or emotional experience that resonates with consumers. Excedrin did just that for their migraine-relief pill. They took an old, boring product like a migraine-relieving pill, and made a powerful virtual reality experience that allows others to feel what it's like to have a migraine. We don't truly know what it's like to go through something until we've walked a mile in someone else's shoes. Excedrin was able to achieve this, and created an ad campaign that generated an immense emotional response -- it got over 2,000,000 Youtube views and over 92,000 shares on Huffington Post in just two months! When pharmaceutical and health care companies are overwhelmed with the challenge of reaching the modern day digitally wired consumer, perhaps spending a portion of that large marketing budget on educational digital content will reach people in more meaningful ways. Why waste almost 1.5 billion dollars a year on cold calls when the marketing game has completely changed? New technology, such as VR and AR, are only here to make that job easier.